Before starting to design your own printed circuit board, you should understand circuitry well. You can use a PCB design software to draw your circuit schematic. There are some basics of the PCB design, some of the most important are as follows. First, you need to have a circuit schematic diagram. For this, you can use any well-known software to design your circuit schematic. Draw the schematic and then run the circuit simulation to check if the circuit is working as expected. After the completion of the schematic and successful simulation, it’s time to make your layout. This step is to convert the schematic into a PCB layout. Drawing the layout is not an easy task. You need to think well before placing any trace or vias. You must keep the width of vias and traces at the optimum level to avoid short circuit on the board. 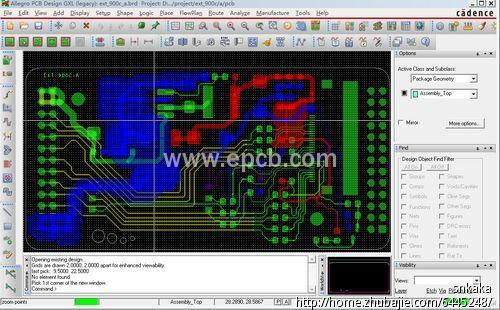 Some software can directly convert the schematic into the PCB layout where you can do minor changes and the PCB is ready. Once you have designed the PCB layout, it’s time to print it out. Keep in mind that you must print the layout on a special PCB paper so that the circuitry can adhere to the board. After printing out the layout, please carefully place the paper on the board and then press it with hot iron. After a while, the circuit board is ready for etching. The PCB is ready after immersing it in the solution to remove the extra copper. And then is to drill vias, use soldering iron to place components, and test the circuit in the laboratory.